Always wanted a Bianchi. My first road bike in 20 years. Rode a metric century the day after buying it. Probably my longest ride ever. 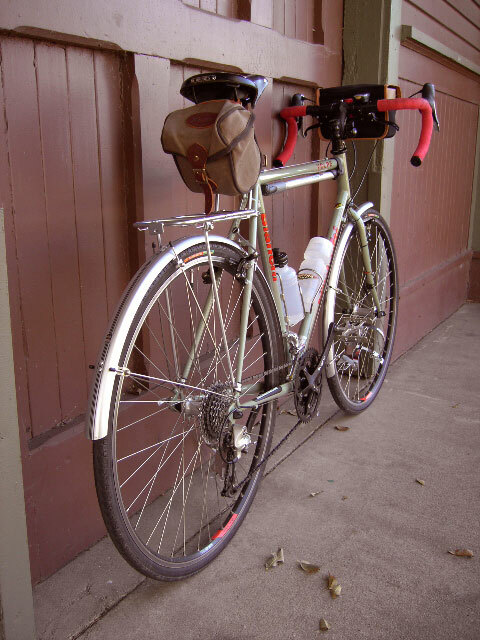 Mainly used as a weight loss/fitness ride. 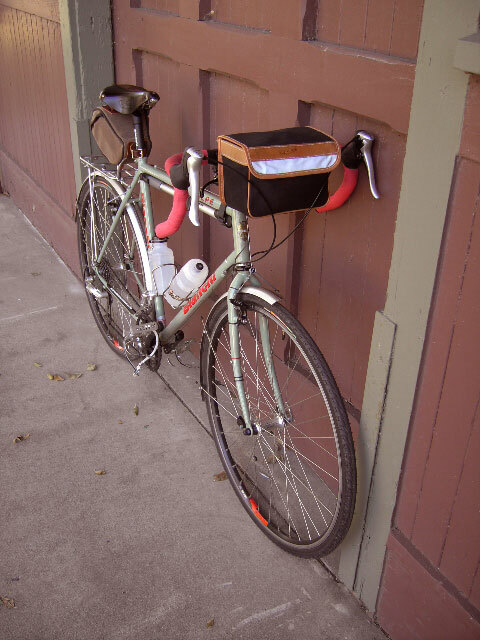 Gets a lot of use on local bike trails. Mostly paved, but also some dirt. The fork braze ons are stock. They shouldn't be. This fork has them. The handlebars are a bit crowded. Nothing too extreme. Looks worse than it feels. 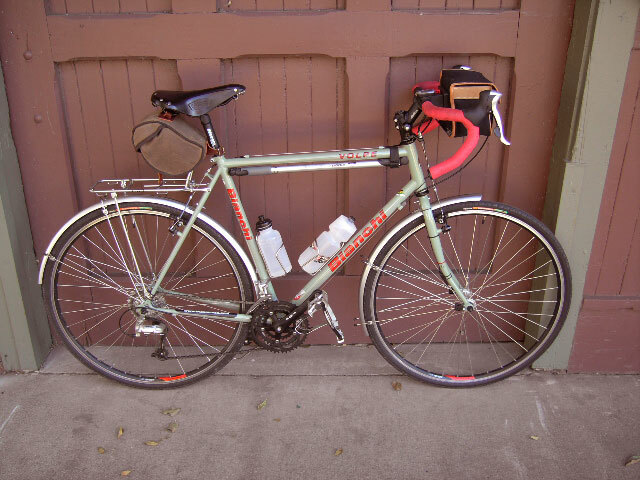 Actually did most of the modifications before seeing the modified Bianchi in the Rivendell Reader. I love the color. Red makes a great contrast. The bags don't match. The components are black. I'm satisfied with the choices. It's my bike. The way I like it.